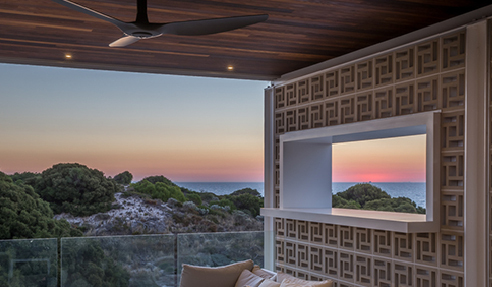 Set just off the stunning coastline of South City Beach, Western Australia sits HIA's 2017 WA Home of the Year and Customer Build Home of the Year. 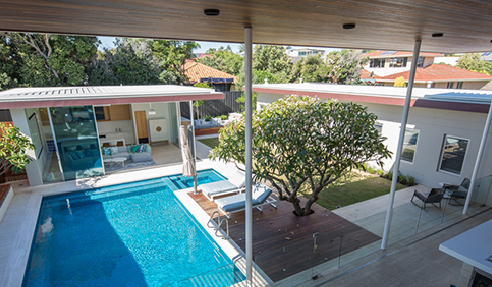 Designed by Architect, Paul Hofman and built by one of Perth's most awarded builders, Tony Tomizzi, the five bedrooms, four bathroom home features an incredible resort style design filled with natural light in what can only be described as one of Western Australia's best builds. The gorgeous beach-front home boasts multiple outdoor living areas, large bedrooms, a swimming pool, beautiful high ceilings, an outdoor kitchen, and unparalleled views of the famous West Australian sunsets in the evening. 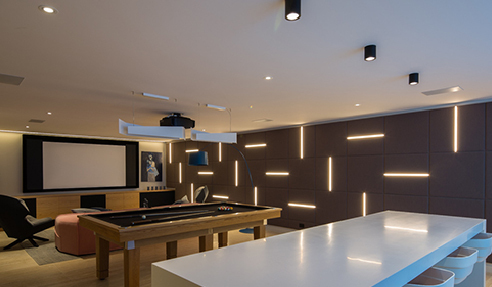 Even the games room is everything you could dream of with a pool table bar facing underwater views of the pool. 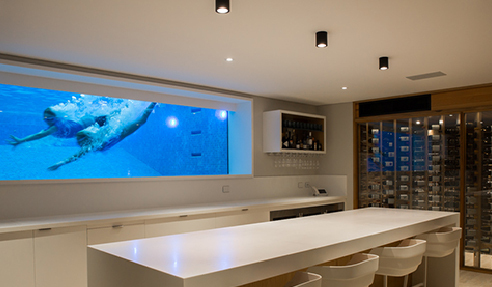 It has space enough for a home theatre, and even has room for the ultimate wine rack, spanning an entire wall. With immaculate interior design, all the features and amenities you could want, and a location to die for, the home also has some features hidden within. Inside the double brick cavity walls of the building is Kingspan's AIR-CELL Permicav XV flexible insulation. Permicav XV's unique permeable flexible foil is specifically designed to reduce the risk of condensation in walls and cavities and can boost the energy rating of any double brick cavity home. "I have been using Permicav XV ever since the energy provisions of the Building Code introduced the use of insulation in the building cavities," commented builder Tony Tomizzi. New energy provisions were introduced to the National Construction Code (NCC) in 2011, requiring buildings to reach a minimum 6-star energy rating and increasing the use of cavity wall insulation. Kingspan's Permicav XV's thin profile and high thermal performance make it an ideal candidate to meet the requirements within cavity wall applications. Its installation methodology is CodeMark certified and it's thin profile allows for the cavity to remain unfilled and compliant with the weatherproofing provisions required by the NCC. "The use of Permicav XV has definitely allowed us to achieve a higher energy rating in this build. It also provides a moisture barrier in the cavity, reducing the likelihood of condensation and moisture build up the walls," continues Tony Tomizzi. "Moisture build-up and condensation can affect the performance of cavity insulation, lowering its thermal performance and in some cases making it completely ineffective," advised Kingspan Insulation's Technical Services Manager, Killian Smith. "This can often be avoided by ensuring the correct insulation is used in each application." "Not only is the product better to work with than other alternatives, I believe Kingspan's supporting materials such as their cavity biscuit spacers and foil joining tape are also far superior," proffered the builder, Tony Tomizzi. "The product is quick and easy to use, very strong and durable during construction, and the cavities remain free and unfilled." 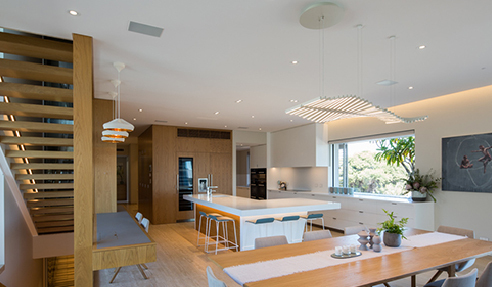 Tony Tomizzi Builders pride themselves as being a luxury custom builder in the Perth Metro area. The team are dedicated to perfection and driven by years of experience. Each project is personally supervised and finished to the highest possible standard. If you would like to learn about more award-winning homes by Tony Tomizzi Builders head to their website for more information. To learn more about insulation and other related products and projects, head on over www.kingspan.com today.